Continued commitment, compassion, and dedication for you and your family. 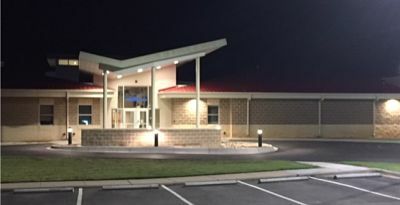 "Quality Care ~ Close to Home"
Family Medical Associates Clinic, located at 997 West Interstate 20 in Colorado City Texas is an asset of the Mitchell County Hospital District. The clinic has a staff of four physicians, one general surgeon, and one female Nurse Practitioner. Murray Hall, clinic manager, heads a staff of nurses, receptionists, and billing personnel to aide your every need. Dr. Dee Roach, M.D., Dr. Dan Scott, M.D., Dr. Brent Sherwood, M.D., Dr. Lufkin Moses, D.O., Dr. Jade Ireland, M.D., and Anna Burton, R.N., FNP-C cover the clinic to ensure you get the best possible care. Click here to view the Family Medical Associates Physicians. Phone 325-728-2693 to make an appointment. Office is open Monday thru Friday, 8 a.m. - 5 p.m. You should contact the Hospital Emergency Room after hours and on holidays if you need immediate medical attention. Mr. Murray Hall heads up the Family Medical Association Clinic that is a subdivision of the Hospital District. 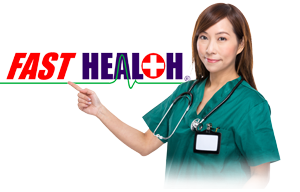 He has implemented innovative ideas to make a patient's visit to the clinic a very positive one. Mr. Hall has a department meeting every morning to discuss what can be done better to make the Family Medical Clinic the best it can be. You can expect a smooth and efficient encounter from the time you make your appointment until your appointment is concluded. We want your experiences with the Clinic to be positive because want to be that facility that you trust enough to bring your entire family to if someone is needing medical assistance. Click here to take the Family Medical Associates Online Patient Satisfaction Survey.